Houston facial plastic surgeons, Dr. Kridel and Dr. Sturm are considered leading experts in facial fillers, including non-invasive Radiesse treatments. At FPSA, our physicians design and perform Radiesse treatments tailored to the individual aesthetic goals of men and women. Radiesse is comprised of a unique mineral called calcium hydroxyapatite, which naturally resides inside the bones and face. Once Radiesse is injected, it immediately works to add volume, as well as stimulates the production of the body's natural collagen for facial rejuvenation results that can last up to a year or more. Radiesse in an FDA-approved filler made from a unique mineral called calcium hydroxyapatite. This is a thicker material than Restylane® and Juvederm®. It is not used for fine lines or for lip enhancement, rather Radiesse is used to fill in deep folds. These injections are popular for patients who are bothered by deeper lines near the corners of the mouth or “jowling” at the sides of the nose and mouth or for volume replacement in the cheeks. At FPSA, your Radiesse treatments are performed by board-certified facial plastic surgeons, Dr. Angela Sturm or Dr. Russell Kridel, or a registered nurse under the direct supervision of one of the surgeons. This provides patients with the peace of mind that they are in the hands of a physician who focuses solely on the face and neck and the procedure is done in the safety and comfort of a medical office environment. In addition, Dr. Kridel and Dr. Sturm make sure patients are comfortable and experience very little discomfort during their treatment session, so patients can be given numbing cream or a dental block if they desire. At FPSA, Dr. Kridel and Dr. Sturm take facial injections quite seriously and believe it is important for patients to have highly skilled and trained hands that can tailor injections to your specific needs with greater finesse, rather than a one size fits all approach at many medical spas. "The fact that Dr. Kridel only does faces makes him an expert in his field. Everything about my procedure was top notch. I was well prepared for my surgery and had realistic expectations due to the computer imaging. It's fun to see what you are going to look like. My procedure was painless and I love the way I look. I am 53 and had a lower face lift. Now, I look like I am in my early forties. Dr. Kridel's claim-to-fame is that you do not look overdone; I look very natural. His staff is also courteous and helpful. And the follow-up care I am receiving is also wonderful. How many doctors send you flowers?If you are considering facial plastic surgery he should be your only choice." "Dr. Kridel and his staff are amazing. They answered all of my questions both before and after my surgery. I love my results and would recommend Dr. Kridel to anyone looking for Rhinoplasty surgery"
"Wonderful Experience - Dr. Kridel and his staff are great. I was so nervous about getting my nose done but they answered all of my questions and put me at ease. The first couple of days of after my procedure were not much fun but I felt better quickly. I am so happy with my results!" "A wonderful Surgeon! - Dr. Kridel and his staff are amazing. Attention to detail and post operative care were there every step of the way. I love my results and would recommend Dr. Kridel to anyone looking for Rhinoplasty surgery"
"I was very nervous as this was my second nose surgery. I had my first surgery 30 years ago with another doctor. Dr Sturm spent a lot of time with me discussing and explaining the process, validating my anxiety, and waiting for when I was ready. There was no pressure to schedule and perform the procedure. She is professional, knowledgeable, personable and doesn't rush you in and out. I appreciate the time she spends with you...a lot of nervous chatter on my end. She did a terrific job!" Radiesse is administered by Dr. Kridel or Dr. Sturm during an in-office appointment that typically takes about 30 minutes. The depth, length, quantity and location of wrinkles varies for each patient. Therefore, the injection treatment, including the dosage and injection location, is tailored specifically to your facial structure and aesthetic goals. Dr. Kridel and Dr. Sturm will mark the specific areas on the face that are going to be treated with a washable marker. A local anesthetic may be used for additional comfort, however the filler itself is mixed with an anesthetic called lidocaine. Following the procedure, patients may feel numb or experience redness near the injection sites, which normally subsides in a short time. There is no downtime, and patients are able to go home or return to work following their appointment. Patients should notice a difference to their face almost immediately following a Radiesse injection. However, because the injection ingredient works to produce and stimulate collagen development, results will be longer lasting than some of the other fillers on the market. Patients should expect results that include added volume to the face, which will smooth out wrinkles, to typically last up to a year or more. Radiesse treatment costs vary for each patient depending on the size of the treatment area and the aesthetic goal. Costs range between $600-$1,200 per session. There have been major advancements in injectable fillers, which can offer a terrific cosmetic solution for patients who desire specific cosmetic results without surgery. There are many different types of fillers, but the key is that they are all not interchangeable, and can be effective for different areas of the face. Restylane and Juvederm are hyaluronic-acid fillers that are similar products by different manufacturers, and can be used interchangeably for fine lines, facial creases and lip augmentation. Radiesse is a calcium hydroxyapatite for deeper folds. 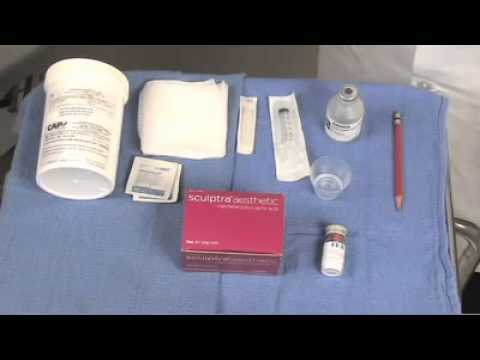 For facial depressions, there is Sculptra®, which is a polylactic acid, or Voluma™, which is a hyaluronic-acid filler. It is understandable how patients may be confused by the large number of options. That is why it is so important for patients to select a highly trained facial plastic surgery specialists, like Dr. Kridel and Dr. Sturm. During your consultation, they will evaluate your facial structure, discuss the various fillers that are available today, and design a treatment plan designed specifically for your aesthetic rejuvenation goals. Radiesse is the only injectable dermal filler composed of calcium-based microspheres, which are comparable to hyaluronic-acid injectable fillers due to the natural ability to stimulate collagen production. Radiesse is recommended for deeper folds, and are not appropriate for lip enhancement.